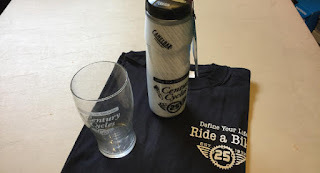 Century Cycles Blog: Spring Sale Hot Deal of the Day: 50% OFF all 25th Anniversary Promotional Items! Spring Sale Hot Deal of the Day: 50% OFF all 25th Anniversary Promotional Items! Can you believe it's been 26 years since Century Cycles opened for business at our first store in Medina? We hardly can! We've got a few items left over from last year's big 25th Anniversary celebration, so you can purchase any of them for 50% OFF! The list includes t-shirts, pint glasses, coffee mugs, and insulated water bottles.